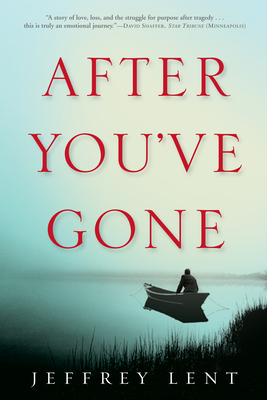 After You've Gone in paperback, it is a moving, sublime love story set in the cataclysmic decades around the turn of the twentieth century. Henry Dorn has spent years building a family, but it only takes a single afternoon for it to fall apart. Abruptly widowed of the love of his life, Henry buys a steamer ticket for Amsterdam, the city of his heritage, hoping to start life anew. But nothing could have prepared him for the woman he meets on the ship: the fiery, self-sufficient Lydia Pearce, one of a new generation of women. Before long the two have fallen into an affair of a depth and significance for which neither was prepared. But the memory of his wife and the vexed relationship he had with their son haunt Henry in the midst of his new beginning. Jeffrey Lent is one of our finest novelists, and After You've Gone delivers a tale that beautifully charts the sweep of a life, the grim reach of a war, and the discovery--and loss--of life-defining love. Jeffrey Lent is the author of In the Fall and Lost Nation, which have been translated into more than eight languages. He lives in upstate New York with his wife and two daughters.